Perfect credit isn't required to buy a car. You can even have bad credit and get a car loan. Before you do, though, you should know what to expect. 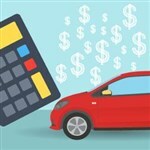 As you probably guessed, bad credit dealerships usually offer loans with higher interest rates and costs. Some consider them "subprime" loans. You can call it by any name you want, but what you really need to know is the bottom line cost of the loan. Keep reading to learn what precautions you should take before entering into a loan with a bad credit car dealership. Can You Get a Car from a Dealer with Bad Credit? First, let's define "bad credit." Are you assuming you have bad credit, but don't know for sure? Unless you've seen your actual credit score and know that it's below 660, you don't know if you have bad credit. Dealers may even consider borrowers with credit scores between 600 and 660 as "prime" borrowers. In other words, they won't pay the hefty interest rates and fees that subprime borrowers may pay. Now, can you get a car from a dealer with bad credit? You can, but you'll have to go to certain car dealerships. You won't go to the car lots you see up and down the major roads. Borrowers with good or great credit can go to those dealerships. If you have bad credit, you'll need to find bad credit car dealerships near you. Can You Get a Car with a 500 Credit Score? You may be able to get a car loan with a credit score of 500, but you can expect to pay as much as 5 times the interest rate that a buyer with good credit would pay. On a used car, that could be as much as 19% or higher for your car loan. Is It Hard to Get a Car from a Dealership with Bad Credit? It's not hard to get a car loan from a bad credit car dealership. However, it is important for you to shop around. Bad credit car dealerships often have different programs with various terms and costs. Just because one dealership says your credit is "bad" doesn't mean another will think the same thing. If you shop around within a 2- to 3-week span, you won't get hit with more than one inquiry on your credit report. Since you are already dealing with a low credit score, you want to minimize the hits you take on your score until you secure a loan. Don't take a lender's word for it that you have bad credit or that you only qualify for a subprime loan. Look for yourself. You can pull your free credit report at AnnualCreditReport.com. This report won't give you your credit score, but it will let you look at your credit history. Look for mistakes and have the credit bureau correct them. If you see anything you can fix, such as late payments or overextended credit, now is the time to fix them as well. Lenders are looking for some type of stability in your life. A low credit score already puts the lender at risk. If you can show employment stability, such as staying at the same job for two or more years, you can decrease the risk of default that you pose. On the other hand, if you change jobs every few months, you are a high default risk. Most subprime car loan lenders require at least a 10% down payment on the car. But that doesn't mean that you can't make a larger down payment. If you have the funds, put them down on the car. Not only does this increase your investment in the car, it also decreases your risk of default. This could land you better terms on the loan than if you made the minimum down payment. If you are already in over your head in debt, a car dealer probably won't want to add to your debt load. Try paying off credit cards and minimizing any installment debt that you have before you apply for a car loan. The more disposable income you have each month, the more likely you are to get approved for the car loan. 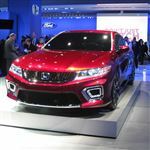 What Is the Lowest Credit Score to Buy a Car with Bad Credit? You'd be hard-pressed to find a lender willing to give you a car loan with a credit score lower than 500. Even 500 pushes the limit, as many lenders won't go below 600, because that's when you hit the "subprime" category. Subprime car loans can have different terms than your standard car loan. Ask the dealer about any penalties for paying the loan off early or even missing a payment. You want to know the best and worst case scenarios so that you can decide if the loan is right for you. You shouldn't have to pay for credit insurance on a car loan. The dealer should make it optional. Make sure the insurance isn't included in your car payment and if it is, ask that they remove it. Don't focus on the price the dealer asks for the car. Instead, ask what the bottom line price is once you pay the loan in full. You might want to be sitting down when they give you this number, because it could be staggering. If it's much more than you anticipated, ask for a breakdown of the costs. Loan paperwork can be overwhelming and boring, but you need to read it. Don't skip any fine print and if you have any questions, ask before you sign on the dotted line. Don't let the dealership pressure you or make you feel that this is your only chance to get auto financing. There are other fish in the sea if you walk out of the finance office. Typically, bad credit car dealers want a minimum of $1,000 or 10% of the car's price as a down payment (whichever is less). You may find that some dealers want a down payment of as much as 50%, though. This is why it's important to shop around and see what different dealers have to offer. Does a Large Down Payment Offset Your Bad Credit? A large down payment can help offset the damage your bad credit creates, but it probably won't offset it totally. In other words, you won't suddenly get super prime (the best interest rates) for your car loan because you make a large down payment. Your bad credit still remains a factor. What a large down payment can do for you, though, is help you save money. A lender may be willing to give you a slightly lower interest rate because of the amount you are willing to invest in the car. 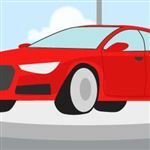 The lower interest rate plus the lower loan amount will decrease the full cost of the loan and therefore the full cost of the car in the end. Don't just accept the interest rate a dealer offers. Even though you have bad credit, you still have the ability to negotiate your rate. This is when shopping around comes in handy. Even if you just get pre-qualified by online lenders, you will have some offers to back up your negotiations when you are in front of the car dealer. They may be more willing to negotiate knowing that they have competition. Don't take the longest term available to you. Some borrowers take loans as long as 84 months! All that this does is increase the amount of interest you pay for the car. Since you are likely paying higher interest rates as it is, the last thing you want is to pay more interest than necessary. Ask for quotes on the shortest loan term you can afford. A cosigner can help offset your bad credit. If you have a close family member with good credit and a low debt-to-income ratio, they can help you qualify. If you do this, make sure you are capable of keeping up with the payments, though, as the cosigner becomes responsible if you default. Buying a car from a bad credit car dealership doesn't mean you have to take the worst terms available. Take your time in repairing your credit and maximizing your qualifying factors before you apply. You may find that you can obtain terms that aren't as bad as you expected. Share on Facebook "Bad Credit Car Dealerships"